← Best Whiskeys of 2012 – A Year of Trying and Buying. I’ve seen this look before… The grimacing smile on the face of someone who just asked me for a whiskey recommendation, took a big gulp and is now trying to appease me by pretending the taste is what he or she was expecting. Questions begin to race through my mind… Did I suggest a bad whiskey…? Should I have told them to take it easy…? Or are they simply not used to sipping whiskey and are a bit shocked by their experience? In my humble opinion it’s more than likely a mixture of question two and three. Sometimes I forget that I’ve been drinking whiskey on the rocks for a very long time now and not only am I prepared for what I am about to taste but that I don’t try to drink the whole glass in one gulp either. So how do I help those new to whiskey overcome a (more than likely) poor first impression of the spirit that I love and start experiencing and enjoying such a fantastic drink? The answer, old school cocktails. I don’t mean drowning delicious whiskey in a river of Coca-Cola or a terribly sweet Whiskey Sour. I mean good old fashioned, carefully measured, more whiskey than mixers, prohibition style cocktails. While I’m still new to mixing drinks I am lucky enough to have some non-whiskey drinkers that are willing to taste test my recipes! 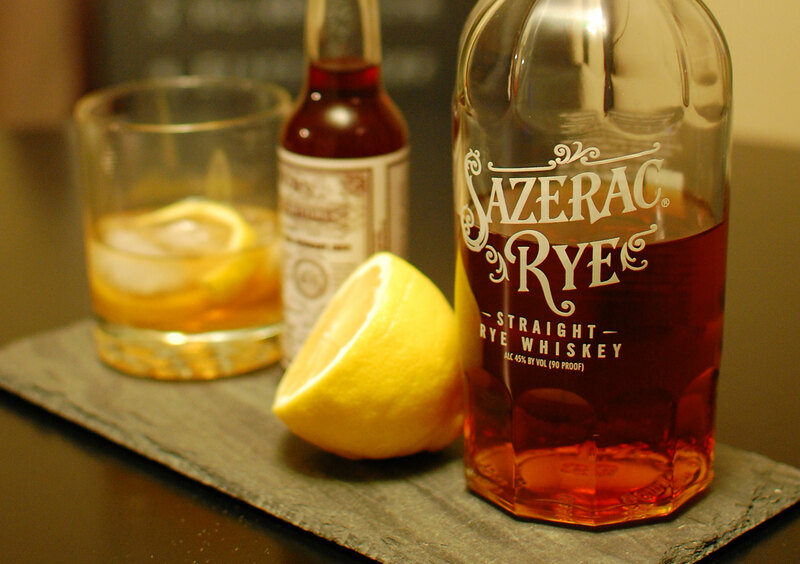 So grab some good whiskey, a handful of the following ingredients and a few willing and thirsty friends and enjoy evening of Whiskey Cocktails. * Drip the Pernod in the glass but shake out any excess (don’t drop into drink). * Dissolve the sugar first with 1 Tsp. of water. * Use a muddler and crush up 1 orange slice, 1 cherry (no stem) and the rest of the ingredients in your glass then add the bourbon and ice. The other orange slice and cherry are for garnish. Mix everything in a shaker with ice, pour into a highball glass and top off with seltzer water. I put everything but the cherry in the shaker over ice. It just seemed to mix better. Shake with ice but strain it so you don’t get ice in your drink. Garnish with an orange wedge. Shake over ice and strain into a short glass. Finish with soda water. Also, make sure to clean out your shaker after making this drink since the maple taste tends to need washed out.